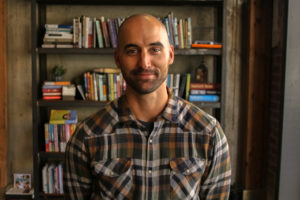 David is our faithful Pastor, mentor, counselor, and friend. David loves people, but avoids the awkward hug at almost any cost. He also avoids food that jiggles on the plate, sauces of any kind, and fruit in dessert. 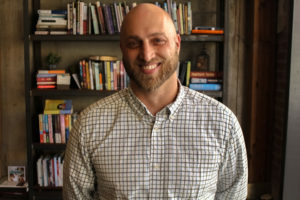 David’s passion for playing practical jokes, eating candy (especially Mike-n-Ike’s or Hot Tamales), and trying to trip Kim is only outweighed by his passion for teaching God’s Word and helping people discover and do their deal. Because Bo is so multi-talented, he is our ‘go to’ guy for many things. Just a few of his useful gifts include being tall enough to close the blinds in the sanctuary without a step ladder (or jumping), leveling the boy to girl ratio on staff, and making bare feet in church popular again…or for the first time- depending on who you ask. With those important gifts, it’s hard to imagine that Bo could bring much more to the table, but imagine it- even experience it, we do. Bo has a deep love for the people in his life- his wife and kids, his church family, and our community. Bo’s life is one of worship, and not just because he leads us on Sunday mornings. One of his greatest desires is to lead people into the presence of the Lord. 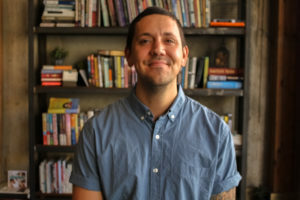 We’d be willing to bet that however you encounter Bo, barefoot or wearing his shoes, in worship, in a prayer setting, having coffee, or just whizzing by you on his bike, you’ll know he’s much more than your average worship leader. Jeremy’s physical stature pales in comparison to his big personality and love for the people he serves. Jeremy, always ready with a funny story to tell, is a natural gatherer and can make even the staunchest introvert feel they want to be a part of whatever he’s involved in. 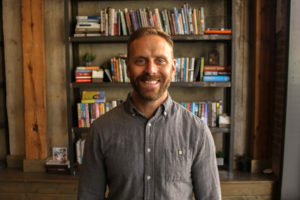 Armed with a passion for God’s Word and a desire to see people connect in community, Jeremy is a force to be reckoned with as our Small Groups Pastor. In other words, if you’re not in a group yet, you will be soon! What do things like Whirly-ball, Four-Square, and Rock Climbing have in common? David Scott. 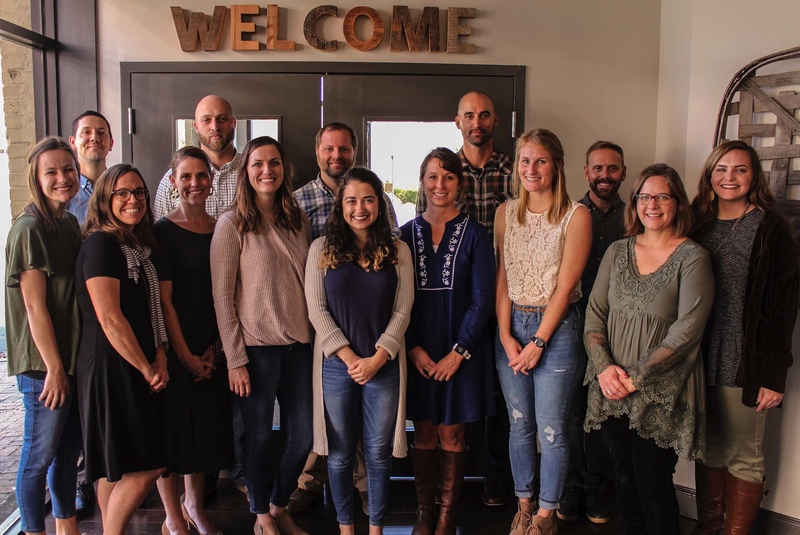 What do community that feels like family, authentic relationships, discipleship in its purest form, and transformation of lives have in common? Also- David Scott. It’s been said that to be a good Student Pastor one has to think like a 12year old. If that holds true, then what does it mean for a great one like David? Being stuck in a middle and high school mindset might explain some of the messiness, but more importantly, it explains why he “gets” those in our body that few others understand. 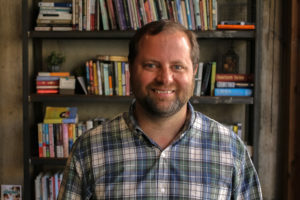 As a former thespian, David has a knack for the dramatic (check out his weekly online videos to students), but is most passionate about the students he leads experiencing the presence of God in their lives. Olivia is the extrovert of all extroverts and brings the fun to our staff. She loves all things chocolate and says “yes” to everything and anything. Olivia makes sure every single detail in our student ministry gets taken care of, and has a passion for every student that walks in the door. She makes sure that our students are cared for, filled with snacks, having fun, and being ministered to in countless ways. 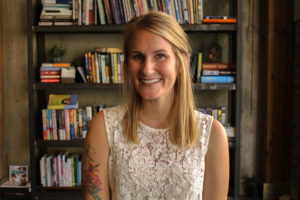 We have big plans and dreams for our students at StoneBridge, and Olivia makes sure that those plans succeed. 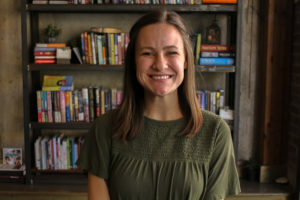 Katie’s ministry experience ranges from watching her mom serve on a church staff most of her life, as well as serving herself in campus ministry while in and after college. 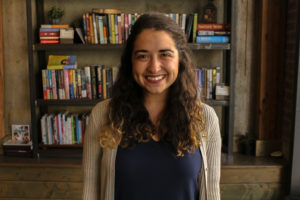 Besides her obvious qualifications, we love having someone on staff who is young but yet boasts proudly of her “old-lady” hobbies- including puzzles, gardening, knitting, baking, and playing board games. If given the chance to add to her list, we may include ‘puppet master’ since her dog Rupert is as close to a live Muppet as we’ve ever seen! Don’t let Ginny’s quiet demeanor fool you. Below the surface roars the heart of a lion; a lion passionate about seeing people’s lives changed by God. Ginny loves fiercely her three children and husband, and also anyone she shepherds. And that’s just what she does…shepherd. Ginny would readily admit she is not too fond of anything related to technology, but she sure has all the techniques needed for relationships (see what we did there?). 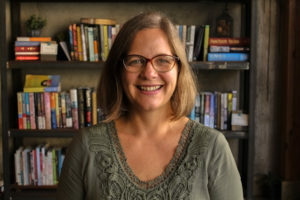 Whether she is ministering to new moms in our nursery, comforting upset preschoolers, or teaching a large group lesson, one thing is certain, Ginny will do it with all her heart because her heart is FOR those she serves. 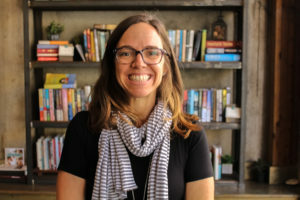 Maggie is a natural story-teller, doesn’t mind a good messy game, is an Instagram aficionado, and loves to see kids’ eyes light up when they hear about God. Besides her voracious reading habit, Maggie spends most of her time taming the busy lives of her four children. Maggie may be one of the newest members of our staff, but she is no stranger here at StoneBridge. As one of the “firsts” when StoneBridge began, Maggie has served in many ways from the beginning. 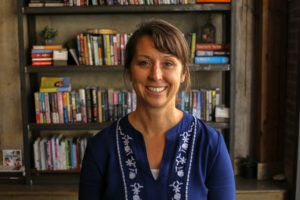 Whether leading a small group of kids, students, or adults, Maggie is passionate about shepherding the hearts of people. No matter what age, our people are lucky to have Maggie leading the way. Kalie is an avid coffee drinker, dog lover, and nap taker. She runs all of our StoneBridge communication, from weekly newsletters, to monthly bulletins, to website updates. 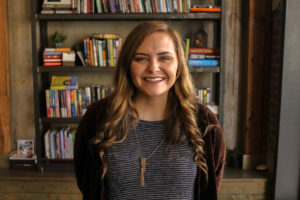 She began attending StoneBridge as a high school student, joined our team as an intern, and has only grown in her passion towards serving the city of Marietta on our staff. We try not to make fun of her vegetarian lunch orders or her ability to quote sitcoms, while she tries not to point out our extensive knowledge of shows that came on TV before she was born! Kim loves to run…or out-run anyone. Kim also loves playing games, spending time outdoors and lifting heavy things. Kim laughs at jokes that aren’t even funny, buys soft drinks even though she doesn’t drink them, and can organize a closet or cabinet better than Martha Stewart. The words, “I can make it fit” are often heard if Kim is in charge. As the “manager of all things” Kim is the first and last point of contact for all things StoneBridge. We love her and couldn’t do ministry without her. Besides, we need her because she’s the only one who knows where the light bulbs are kept! If you love animals, outdoors, or anything adventurous, Emily is your friend! 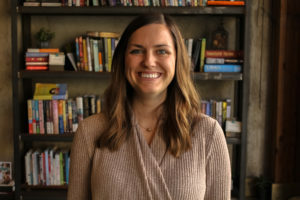 Emily is involved in about every part of our church, as an adult small group leader, a mission trip leader, a youth small group leader, and many other things. She says yes to adventure quickly, and loves our church well! Emily is our childcare coordinator, which is exactly what it sounds like- she makes sure our children are well taken care of! Anything from the Sunday morning nursery to small group gatherings, she will make sure that our StoneBridge kids are safe and having fun. Russell started with StoneBridge as an intern, but quickly fell right into place with the rest of our staff. While Russell cares for our facilities, he also offers wise insight into ministry conversations and church decisions. He may be quiet, but he has a passion in his heart to share the gospel however possible. Sometimes this is through prayer and conversations on Sunday mornings, and sometimes it happens through taking care of our spaces and facilities. Interested in our space? Meet Megan! Megan is our event coordinator and helps make sure that weddings and small groups don’t overlap. If you are interested in using our space for any reason, reach out to Megan and she will make it happen!